Last week one of my posts was a part of Speech Snacks Blogiversary . In case you missed it, read below some of my suggestions on how to creatively use edibles to enhance learning. There are times when we (speech-language pathologists) encounter certain barriers when working with language impaired children. These may include low motivation, inconsistent knowledge retention, as well as halting or labored progress in therapy. Consequently, we spend countless hours on attempting to enhance the service delivery for our clients. One method that I have found to be highly effective for greater knowledge retention as well as for increasing the kids’ motivation is incorporating multisensory stimulation in speech and language activities. To date, a number of studies have described the advantages of multisensory stimulation for various populations. For example, in 2003 a study published in Journal of Research in Nursing and Health described the advantages of multisensory stimulation for 2 week old Korean orphans who received auditory, tactile, and visual stimulation twice a day, 5 days a week, for 4 weeks. This resulted in significantly fewer illnesses as well as significant gains in weight, length and head circumference, after the 4-week intervention period and at 6 months of age. Another 2009 study by White Traut and colleagues published in the Journal of Obstetric, Gynecologic, & Neonatal Nursing, found that multi sensory stimulation consisting of auditory, tactile, visual, and vestibular intervention contributed to a reduction of infant stress reactivity (steady decline in cortisol levels). Moreover, multisensory stimulation is not just beneficial for young children. Other studies found benefits of multisensory stimulation for dementia (Milev et al, 2008) and coma patients (Doman & Wilkinson, 1993), indicating the usefulness of multisensory stimulation for a variety of at risk populations of different age groups. After reviewing some studies and successfully implementing a number of strategies I wanted to share with you some of my favorite multisensory activities for different age-groups. Since Speech Snacks is a blog with a focus on incorporating food in therapy sessions, in this post I’d like to focus on how to creatively utilize edibles to enhance learning. Before initiating any activities please remember to obtain parental permissions as well as a clearance from the occupational therapist (if the child is receiving related services), particularly if the child presents with significant sensory issues. It is also very important to ensure that there are no food allergies, or nutritional restrictions, especially when it comes to working with new and unfamiliar clients on your caseload. One of my favorite speech language therapy session activities for preschool and early elementary aged children was inspired by Janell Cannon’s ‘Crickwing’. The child and I begin by constructing and gluing together a large paper flower and dabbing it’s petals with various food extracts (almond, vanilla, raspberry, lemon, root beer, banana, cherry, coconut, etc). Then, using the paper flower as a model, we make an edible flower using various foods. Pretzel sticks serve as stems, snap peas become leaves, while mango, tomato, apple, peach and orange slices can serve as petals. After our food craft is finished the child (and all other therapy participants) are encouraged to take it apart and eat it. The edible flower is not just useful to stimulate the visual, tactile, gustatory, and olfactory senses but it also encourages picky eaters to trial new foods with a variety of textures and tastes, as well as serves to develop symbolic play and early abstract thinking skills. 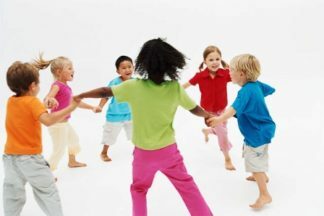 But multisensory activities are not just for younger children; they can be useful for school-age children as well (including middle school and high school aged kids). In the past, I have incorporated multisensory activities into thematic language and vocabulary units for older children (see resources below) while working on the topics such as the senses (e.g., edible tasting plate), nutrition (e.g., edible food pyramid) or even biology (building plant and animal cell structures out of jello and candy). From my personal clinical experience I have noticed that when I utilized the multisensory approach to learning vs. auditory and visual approaches alone (such as paper based or computer based tasks only), the children evidenced greater task participation, were able to understand the material much faster and were still able to recall learned information appropriately several therapy sessions later. I find multisensory stimulation to be a fun and interactive way to increase the child’s learning potential, decrease stress levels, as well as increase retention of relevant concepts. Try it and let me know how it works for you! Doman, G & Wilkinson, R (1993) The effects of intense multi-sensory stimulation on coma arousal and recovery. Neuropsychological Rehabilitation. 3 (2): 203-212. Ti, K, Shin YH, & White-Traut, RC (2003), Multisensory intervention improves physical growth and illness rates in Korean orphaned newborn infants. Research in Nursing Health. 26 (6): 424-33. Milev et al (2008) Multisensory Stimulation for Elderly With Dementia: A 24-Week Single-Blind Randomized Controlled Pilot Study. American Journal of Alzheimer’s Disease and Other Dementias. 23 (4): 372-376. Tarullo, A & Gunnar, M (2006). Child Maltreatment and Developing HPA Axis. Hormones and Behavior 50, 632-639. White Traut (1999) Developmental Intervention for Preterm Infants Diagnosed with Periventricular Leukomalacia. Research in Nursing Health. 22: 131-143. Cannon, Janell (2000) Crickwing. Harcourt Children’s Press.